New rules for physician payments through Medicare went into effect on January 1. Here’s what you need to know. In 2015, the Medicare Access and CHIP Reauthorization Act (MACRA) was signed into law. The legislation called for significant changes to how physicians are paid for treating Medicare patients. It repealed the Sustainable Growth Rate formula and replaced it with a program meant to reward physicians for “quality” of treatment instead of quantity. In October 2016, the Centers for Medicare and Medicaid Services (CMS) released the (over 2,000 page) final rule implementing this system, which went into effect on January 1, 2017. 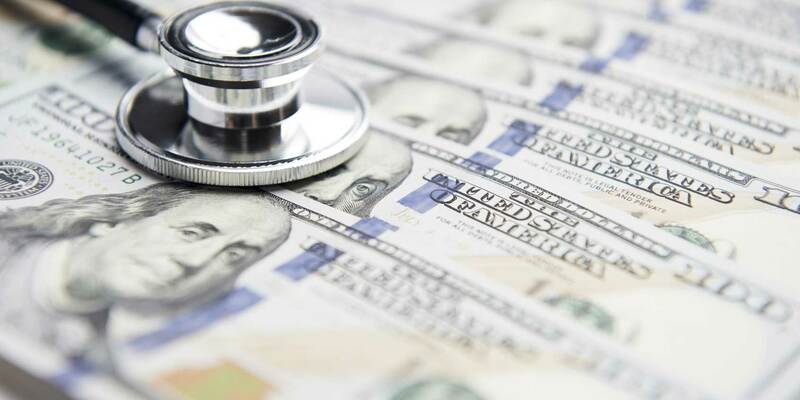 The rule calls for physicians treating Medicare patients to begin taking part in either a merit-based incentive payment system (MIPS) or an advanced alternative payment model (AAPM). Most physicians will qualify for MIPS (CMS estimates that only 5-8% will be participating in an AAPM). Under MIPS, physicians’ payments will be positively or negatively adjusted based on “performance” in four categories: “quality,” resource use, clinical practice involvement, and advancing care information (see this primer for more details). The maximum up-or-down payment adjustment will be 4% the first year and increase each year thereafter, reaching 9% in 2022. Improving the “quality” of physician care may sound like a laudable goal, but who exactly is to decide what is best “quality?” There’s good reason to believe this new system will not improve actual outcomes—in fact, many federal programs achieve the opposite of what is intended. One thing is certain. It will give the feds and the American Medical Association (AMA) even greater control over the practice of medicine, even though by law, medicine is supposed to be regulated not at the federal level, but at the state level. Here’s the bottom line: doctors treating Medicare patients will need to abide by what the government thinks is “quality” care, or at least says it is (what the government actually thinks and says can be quite different). This, is turn, will be heavily influenced by the AMA, which represents a small percent of US physicians. And it will also be heavily influenced by what the usual special interests—insurance companies, hospitals, drug companies, and trial lawyers—want. The AMA, as we all know, has a very narrow view of what “quality” care is, given their hostility toward natural medicine—or indeed, toward any approach to medicine that doesn’t conform to their drug-or-surgery standard or increase their income. Doctors and their patients, not the government, should determine what “quality” is in medicine. Indeed, only doctors and their patients can even define what medicine is or is not! There are other problems. MIPS relies heavily on self-reporting, which leaves the system wide-open to abuse. A similar rating system based on self-reported measures was implemented to compare nursing homes, and news reports found that the system was easily gamed. Actual patient experiences diverged sharply from a nursing home’s rating. This gamesmanship occurred even in the absence of the strong financial incentives that exist in MIPS. Complying with MIPS will also significantly increase the administrative burdens on physicians who already spend much of their day filling out paperwork. A study in the Annals of Internal Medicine found that “for every hour physicians provide direct clinical face time to patients, nearly two additional hours is spent on EHR and desk work within the clinic day.” This will get even worse with MIPS. This is only one more disincentive for doctors seeing Medicare patients. We have outlined many others, such as the risk of going to jail for a minor and inadvertent billing error. What doctor would want to serve Medicare patients in this climate? On the other hand, doctors know that it is really insurance companies, not the government, that administer Medicare day to day. Who can doubt that the insurance companies will first apply MIPS to Medicare, then try to extend it everywhere? When is a GMO not a GMO?